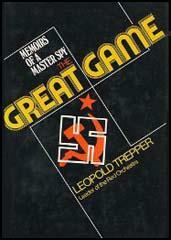 In 1939 Leopold Trepper, an agent for the NKVD, established the Red Orchestra network in Europe. and organised underground operations in Germany, France, Holland and Switzerland. Red Orchestra worked closely with the French Communist Party and succeeded in tapping the phones of Abwehr in France. 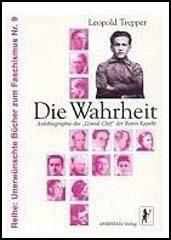 Trepper was also able to provide detailed reports on the plans for a German invasion of the Soviet Union. In the spring of 1942 the first Red Orchestra agents were arrested in Belgium. Some agents broke under torture and the Germans were able to liquidate the network in Europe. The Red Orchestra's headquarters were raided in November, 1942. Leopold Trepper managed to escape and remained in hiding until Paris was liberated. On December 18, 1940, Hitler signed Directive Number 21, better known as Operation Barbarossa. The first sentence of the plan was explicit: "The German armed forces must be ready before the end of the war against Great Britain to defeat the Soviet Union by means of Blitzkrieg." Richard Sorge warned the Centre immediately; he forwarded them a copy of the directive. Week after week, the heads of Red Army Intelligence received updates on the Wehrmacht's preparations. At the beginning of 1941, Schulze-Boysen sent the Centre precise information on the operation being planned; massive bombardments of Leningrad, Kiev, and Vyborg; the number of divisions involved. In February, I sent a detailed dispatch giving the exact number of divisions withdrawn from France and Belgium, and sent to the east. In May, through the Soviet military attaché in Vichy, General Susloparov, I sent the proposed plan of attack, and indicated the original date, May 15, then the revised date, and the final date. On May 12, Sorge warned Moscow that 150 German divisions were massed along the frontier. The Soviet intelligence services were not the only ones in possession of this information. On March 11, 1941, Roosevelt gave the Russian ambassador the plans gathered by American agents for Operation Barbarossa. On the 10th June the English released similar information. Soviet agents working in the frontier zone in Poland and Rumania gave detailed reports on the concentration of troops. He who closes his eyes sees nothing, even in the full light of day. This was the case with Stalin and his entourage. The generalissimo preferred to trust his political instinct rather than the secret reports piled up on his desk. Convinced that he had signed an eternal pact of friendship with Germany, he sucked on the pipe of peace. He had buried his tomahawk and he was not ready to dig it up.